Having a food blog with lots and lots of traffic sounds like a dream, doesn’t it? But what if I told you there’s something that might even be better? Today I’m talking with Sherrie Castellano about Building Engaged Audiences and why that might actually be better than tons of traffic. If you think food blogging is the bee’s knees and you want to learn more about making it your business, listen to my discussion with Casey Benedict on Food Blog Business Strategies. Or you might want to listen in on my chat with Ali Ebright on Food Blogging Inspiration. What are the ways you can create an engaged audience. We hear the value of this — building engaged audiences — all the time! Today’s guest, Sherrie Castellano, talks about why she feels following your authentic voice can be a part of building engaged audiences. We also talk about the value that an engaged audience brings. Sherrie describes how an engaged audience may be even better than having large volumes of traffic. And it certainly creates a passionate foundation from which you can build a larger audience. One of our goals at the Chopped Podcast is to help you feel inspired by the work you’re doing. Food blogging can be hard and isolating and we aim to make all that better. And fun! We hope today’s show about Building Engaged Audiences becomes part of the value you bring to your work each and every day. Sign Up Today for The Chopped Academy Webinar: Maximizing Blog Visibility — How to Dominate Google for 2017. 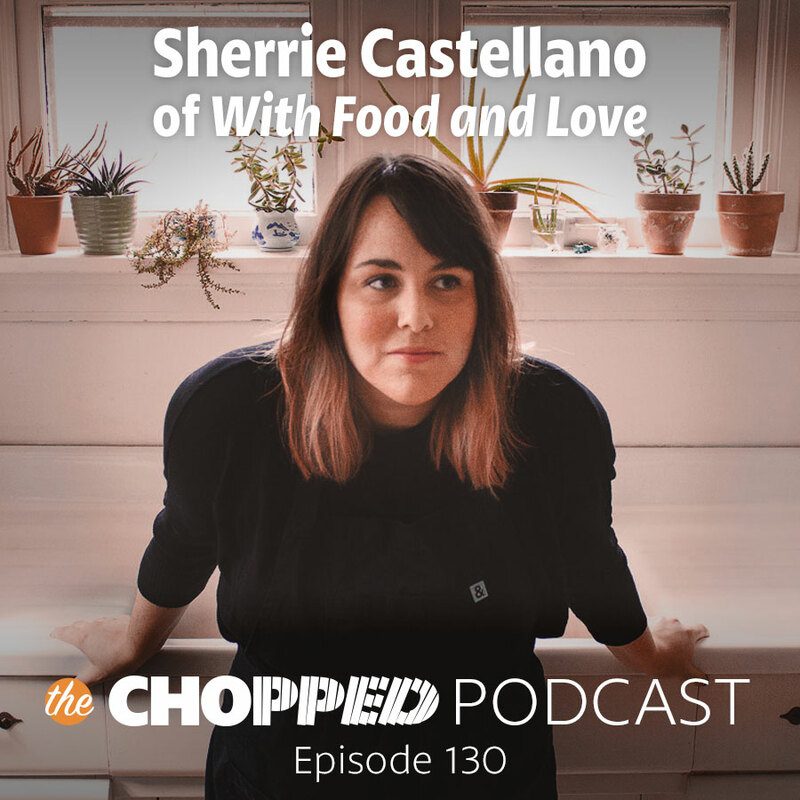 Give a shout-out on Twitter and Instagram to say thanks for the Chopped Podcast interview!